Here’s a fantastic usage of Google Earth, an organization has created a project that is tracking the removal of landmines. Founded in 1988, The HALO Trust is the world’s oldest and largest humanitarian landmine clearance organization. 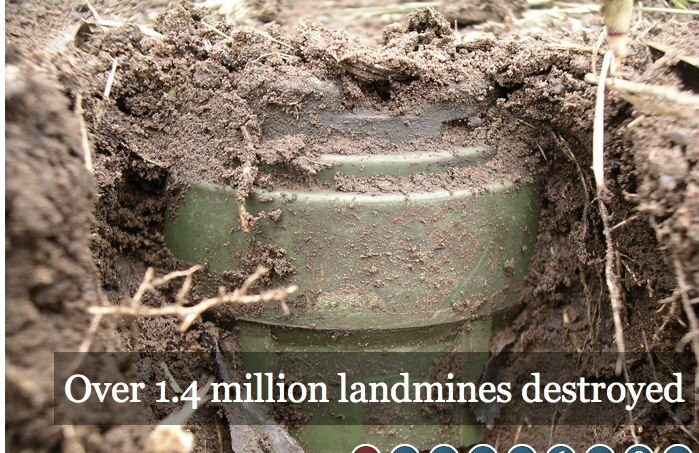 Dedicated to the removal of the hazardous debris of war, HALO has cleared over 414,000 acres of land and removed over 13 million landmines and other explosive remnants. Their work allows families to return home, land to be used for agriculture, roads to be re-opened, and children to walk to school safely. When HALO visited the Google Earth Outreach team at Google headquarters two years ago, we were proud to hear how they use our tools to clear landmines around the world. Since 2006, they have leveraged their Google Earth Pro grant for minefield survey, data validation, quality control and to produce maps for donors, governments, and other NGOs. They have since received a Google Earth Outreach Developer Grant to fund creation of their Explore a Minefield project. You can download the tour for Google Earth here.